The holiday season can be difficult. You have family staying at your place for far too long, a dozen fancy meals to cook, and a seemingly growing number of children to appease. You need to find the decorations, untangle the decorations, put out the decorations, and constantly scream “DON’T TOUCH THE DECORATIONS!” Then there are the gifts. Ties for grandpa, Play-Doh for the kids, gift cards for the teenagers. Yawwwwwwn. Another year, another two-dozen hurried gift purchases that’ll be tossed on top of the pile. But not this year. Not if I can help it. If you have hockey people in your life, then you’re going to make this the best. holiday. season. EVER. If you’re like most people, you have no idea what hockey people want. And it’s not your fault — nobody’s ever told you what hockey people want. But I’m about to. Below you’ll find a handful of the latest, greatest, coolest, interestingest, MOST OUTDOOR HOCKEY-RELATED gifts you’ve ever seen. You will purchase them. And you will blow their minds. Note – Click the links or photos to be taken directly to a product page. Hockey kids will love it because of the festive, colorful illustrations and rhythmic text. 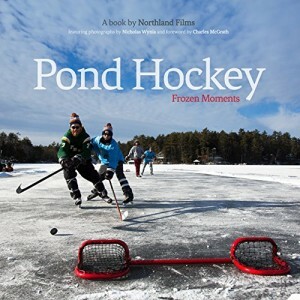 Hockey parents will love it because it makes bedtime that much easier. 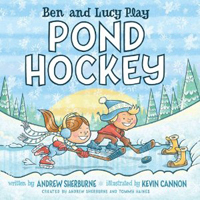 Authored by Andrew Sherburne and Tommy Haines, makers of the Pond Hockeydocumentary, Ben and Lucy Play Pond Hockey is the perfect way to introduce the hockey child in your life to the rituals of the outdoor game. See our review here. My oldest got his first set of Hockey Guys back in 2008 when he was two, and now that we have twins, we’ve probably gone through a half-dozen sets (because they travel with us everywhere and we lose some). 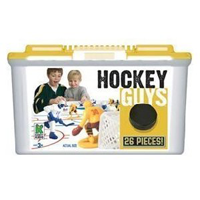 We’ve also added in their Football Guys, Soccer Guys, and Baseball Guys…as well as their NHL-themed Hockey Guys. This is a great toy to help develop creativity as there are no rules and no structure (kinda like pond hockey!) As a hockey coach, we’ve even brought the whole set up to the tournament hotel and helped explain d-zone coverage. Easily one of my favorite hockey-related products. It’s a minifigure! It’s a backyard rink! It’s the NHL! In other words…it’s perfect! 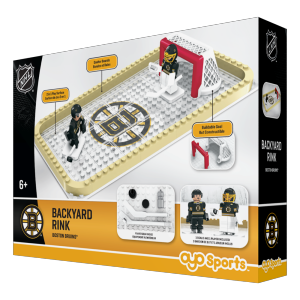 OYO makes tons of minifigs that work with Lego sets, so this NHL backyard rink kit is only the tip of the iceberg if your little one has a ton of lego sets already. Sidney Crosby against Darth Vader in a game of shinny? MAKE IT HAPPEN. Tuukka Rask stopping Wild Style from the Lego Movie in a shootout? DONE. OYO makes these backyard rink kits for a number of teams, and there are dozens of individual players and team zambonis also available. 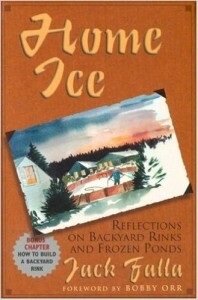 I would need four hands to count the rink builders I know who built their first rink as a direct result of this book. Jack Falla was, and remains today, a backyard rink legend. His Bacon Street Omni was a local gathering place, but his books stretched far outside the city limits of Natick MA, and even years after his untimely passing, his words continue to inspire. If someone you know and love builds a backyard rink, they need Home Ice. Simple as that. This one shows that you think outside the box and truly know your giftee. If someone gave me one of these I’d be psyched that they gave so much thought to their gift. 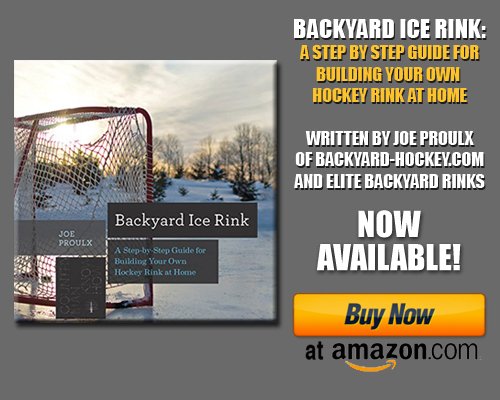 A number of backyard rink parts companies do the gift card thing, and some even allow you to email the gift instantly (if you waited to long to have it shipped). Click here to order a gift card from Nicerink, and click here to order from Iron Sleek. 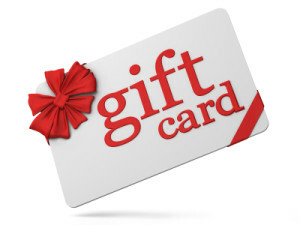 If your recipient orders their liner or parts from somewhere else, inquire about a gift card there! It might sound cheesy and practical, but take it from a rinkbuilder – you can never have too many good shovels! 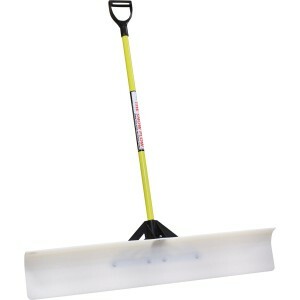 I’m partial to the SnowPusherLite, but Amazon and your local hardware store will carry any number of nice shovels. I love the wide ones, and shovels get bonus points when they have rubberized edges to act as squeegees. 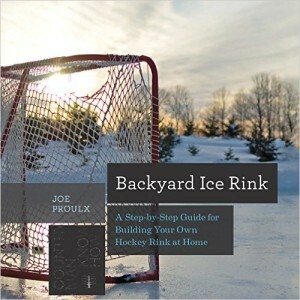 It may be tough to wrap, but it’s a great gift for someone who really puts the work in maintaining your family’s rink. 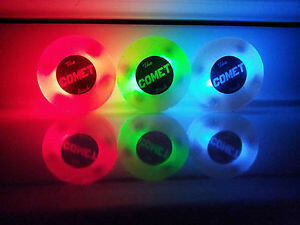 A neat little stocking stuffer, the Comet Puck is the same size and weight of a normal puck, but uses a replaceable lithium coin cell battery and a tiny LED to create a bright little biscuit. Perfect for rinks and ponds, the puck is slapshot resistant – comet bombs away! The team that brought you the Pond Hockey documentary is back, this time with some coffee table candy. They engaged incredibly talented photographer Nic Wynia and tasked him with taking as many photographs of outdoor hockey as he could. He traveled around North America and when he returned, the team got to work sorting through the shots. The end result is an instant classic, and another outdoor hockey success for the guys at Northland Films. The book ships on December 1st, so show them how in touch you are with the outdoor hockey culture and get them this great new release! Chances are your favorite hockey player may already have some sort of passing rebounder. And for the most part, they’re great. What makes this one different? That you can actually use it on ice! Most rebounders attach to shooting pads, which are great for use in the garage or driveway. But on the backyard rink or pond, they’re unusable. Enter the Sniper’s Edge Pass Master. 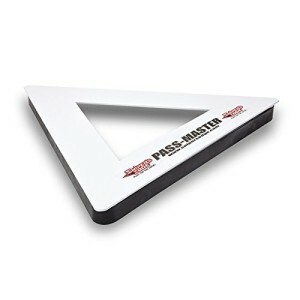 This heavy-duty steel triangle has rubber bands on three sides and removable steel pegs along the bottom for use on actual ice. Bring it to the rink or pond and it’s like having another person on the ice with you. Have any other ideas? Post ’em in the comments below! Please see our Affiliate Disclosure for information about the links contained in this post.